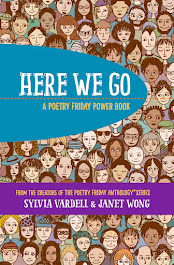 Karen Hildebrand, Chair of the 2012 Notable Books for a Global Society award committee, just gave me the heads up on their latest list which includes several poetry books among the 25 winners. FYI: Annually, a committee of the CL/R SIG (Children’s Literature and Reading Special Interest Group) of the International Reading Association selects 25 outstanding trade books for enhancing student understanding of people and cultures throughout the world. 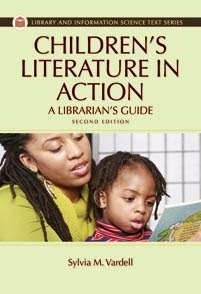 The committee reviews books representing all genres intended for students K-12. The new list for 2012 should be posted here soon. 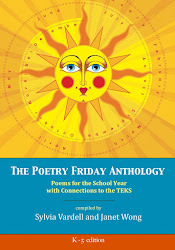 Be sure to catch all the Poetry Friday action this week at Check it Out! 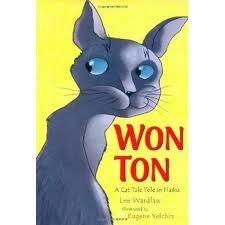 The winner is Won Ton: A Cat Tale Told in Haiku by Lee Wardlaw, illustrated by Eugene Yelchin (Henry Holt, 2011). 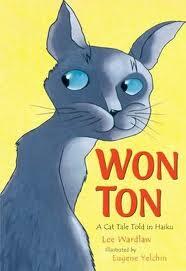 One honor book was named--Hidden by Helen Frost (Farrar, Straus & Giroux, 2011). 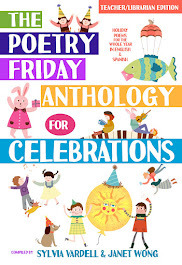 The Lee Bennett Hopkins award established in 1993 is presented annually to an American poet or anthologist for the most outstanding new book of children's poetry published in the previous calendar year. Here's the award web site. 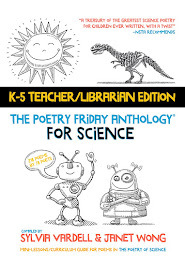 For activities and ideas for promoting award and honor books, go to the Lee B. Hopkins Poetry Award Teaching Toolbox here. Image credit: Henry Holt, Farrar, Straus & Giroux. It’s catch up time! A pile of poetry tidbits have collected and I’ve gathered them to share here. Let’s start with more poetry awards announcements. 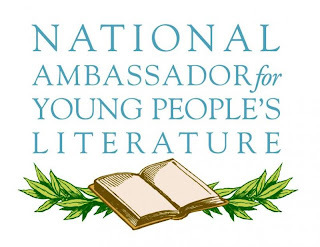 The Claudia Lewis award has been announced and this time the committee recognized TWO poetry titles for two different age ranges: for younger readers, Kristine O'Connell George's EMMA DILEMMA: Big Sister Poems; for older readers, Allan Wolf's THE WATCH THAT ENDS THE NIGHT: Voices from the Titanic. The awards will be presented next week (Feb. 23) at Bank Street College in New York. For more info, go here. The Claudia Lewis Award is given by Bank Street College in New York and was established in 1998. The award is given annually for the best poetry book of the year in honor of the late Claudia Lewis, a distinguished children's book expert and longtime member of the Bank Street College faculty and Children's Book Committee. 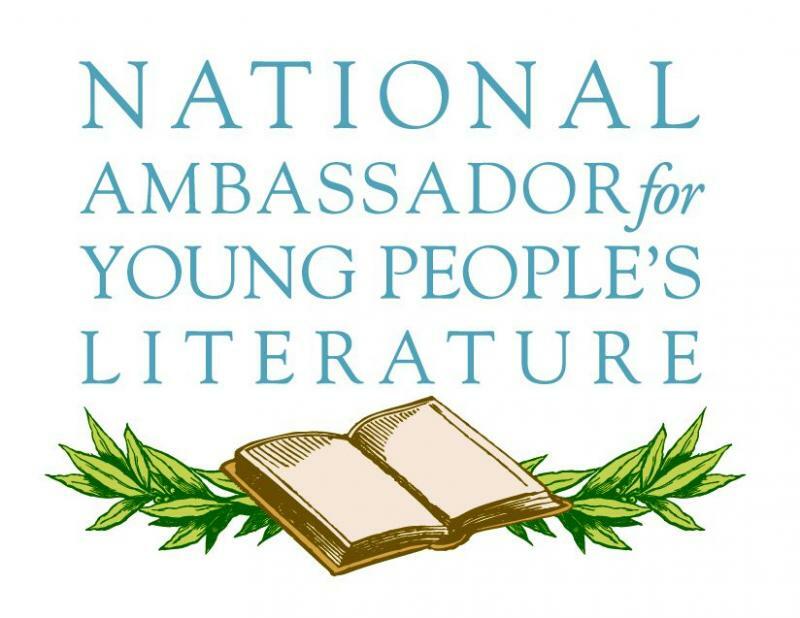 Note: One of my graduate classes this semester is collaborating on creating a blog for this award featuring reading guides and digital trailers for the winning and honor books. Stay tuned and I’ll let you know when they’re public— I hope in time for National Poetry Month, of course. 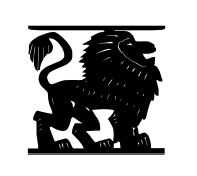 The Lion & Unicorn Award has also been announced for 2011 (for books published in 2010). The winner is Susan Blackaby’s Nest, Nook & Cranny illustrated by Jamie Hogan (Watertown, MA: Charlesbridge, 2010). Jackson, Rob. 2010. Weekend Mischief. Ill. by Mark Beech. Honesdale: Wordsong/Boyds Mills Press. Kennedy, X. J. 2919. City Kids: Street & Skyscraper Rhymes. Ill. by Philippe Béha. Vancouver: Tradewind. 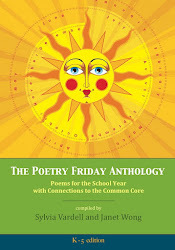 The Lion and the Unicorn Award focuses on North American poetry for young people and carries on the prior tradition begun by the British journal, Signal, to “instigate, provoke, and sustain a conversation about poetry published for children.” Recipients are now from both the U.S. and Canada. 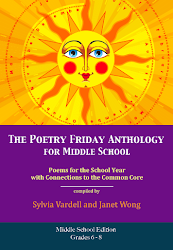 In addition, the Lion and the Unicorn Award includes an essay which discusses the award winners as well as speculates on issues unique to writing and publishing poetry for children, “painting a picture of that year in children’s poetry.” You’ll find those essays here. 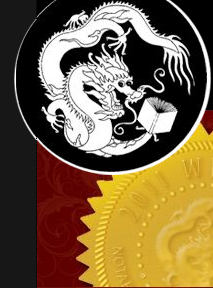 Note: One of my graduate classes this semester is collaborating on creating a blog for this award too featuring reading guides and digital trailers for the winning and honor books. I’ll keep you posted on this one, too. 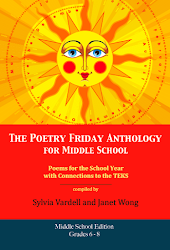 The Cybils awards were also recently announced and I’m so pleased they feature poetry as a special category. This year’s winner is Requiem: Poems of the Terezin Ghetto by Paul Janeczko. Finalists included: Cousins of Clouds: Elephant Poems by Tracie Vaughn Zimmer, Dear Hot Dog by by Mordicai Gerstein, Emma Dilemma: Big Sister Poems by Kristine O'Connell George, Self-Portrait with Seven Fingers by J. Patrick Lewis and Jane Yolen, and We Are America: A Tribute from the Heart by Walter Dean Myers. 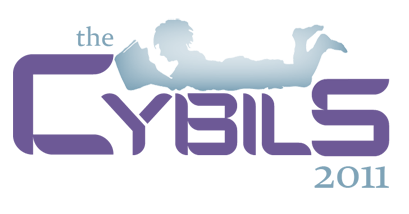 The “Cybils” award was established in 2006 to recognize the role of bloggers in the “kidlitosphere,” the online children’s literature world. “Cybils,” an acronym for the “Children’s and Young Adult Bloggers’ Literary Awards,” are given in a variety of genre and format categories, including poetry. For more information go here. 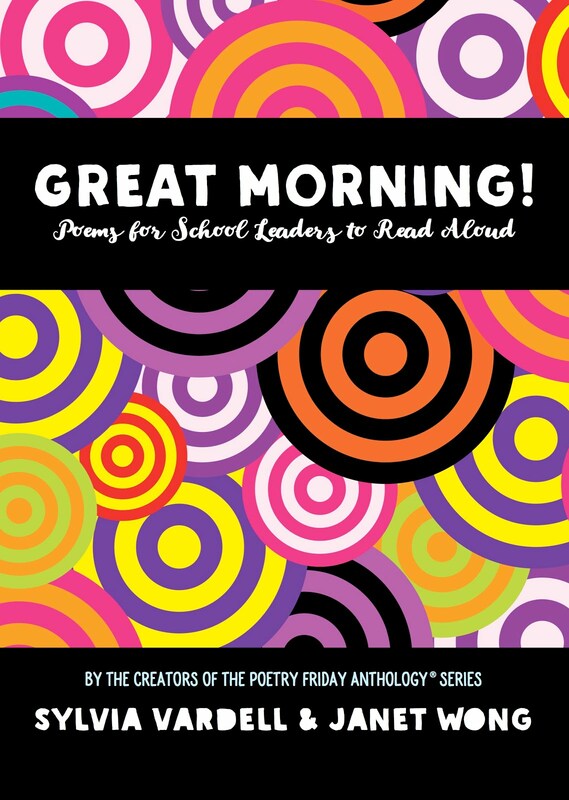 The Centre for Literacy in Primary Education Poetry Award for a book of poetry for children was launched by the UK Centre for Literacy in Primary Education in 2003. The judges this year were Carol Ann Duffy, Andrew Lambirth and Fiona Waters and the chair was Julia Eccleshare. The 2011 winner went to Mandy Coe's If You Could See Laughter. Other titles on the shortlist included: Allan Ahlberg's Everybody Was a Baby Once and Other Poems, illustrated by Bruce Ingman; Phil Bowen's Cuckoo Rock, illustrated by Fred James; Philip Gross's Off Road to Everywhere, illustrated by Jonathan Gross; and Roger Stevens' (compiler) A Million Brilliant Poems (part one), illustrated by Jessie Ford. For more information, go here. Marilyn Nelson has been named as the Frost Medal recipient by the Poetry Society of America. Here’s an article about her work for both children and adults. 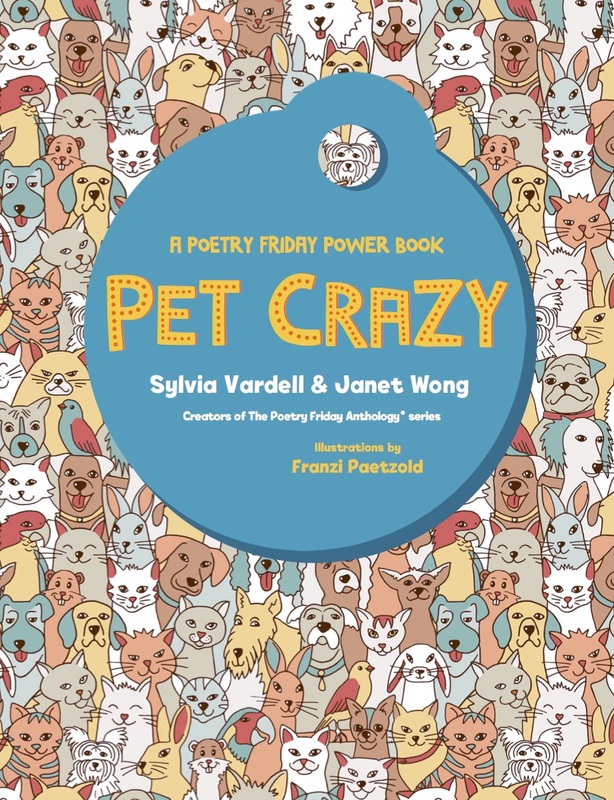 It’s wonderful to see poets and poetry getting this recognition and particularly interesting to see so many different titles and names honored. Next: Update on our Librarians’ Choices list and our poetry selections. 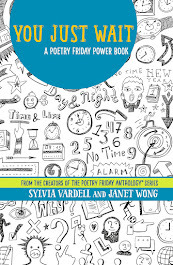 Poetry Friday: Join the crew at Gathering Books for more poetry fun and info.